James W. McCracken assumed the role of President and Chief Executive Officer of LeadingAge New Jersey on January 2, 2018. 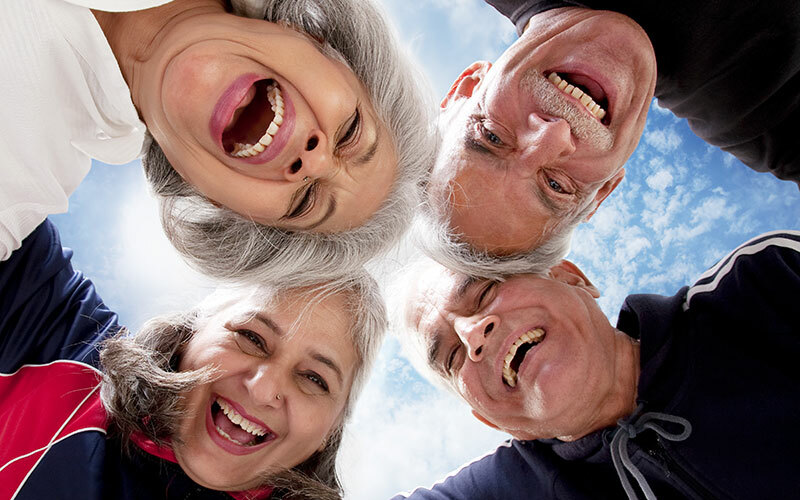 LeadingAge New Jersey is the statewide association of not-for-profit senior care organizations and is dedicated to advancing quality aging services in New Jersey through advocacy, education and fellowship. Together with our partner, LeadingAge, we advance policies, promote practices and conduct research that supports, enables and empowers people to live fully as they age. Prior to his tenure with LeadingAge New Jersey, McCracken had been appointed Long Term Care Ombudsman by Governor Chris Christie on December 3, 2010. As Ombudsman, McCracken managed a staff dedicated to secure, preserve and promote the health, safety and welfare of New Jersey citizens 60 years and older residing in long-term health care communities. The NJ Office of the Long-Term Care Ombudsman provides advocacy to residents living in long-term care settings and processes more than 5,000 abuse and exploitation allegations each year. McCracken was CEO and Executive Director of The House of the Good Shepherd, (The House), Hackettstown, N.J., a continuing care retirement community offering healthcare and specialized services to more than 180 residents from 2007 to 2010. The House includes independent apartments, assisted living suites, nursing residences and cottage homes. McCracken began his career in 1995 as Manager of Program Development at the United Methodist Communities in Neptune, N.J. In 1999, he was named Executive Director of the Francis Asbury Manor in Ocean Grove, N.J., and from 2000 to 2007 served as Administrator of the Bristol Glen Continuing Care Retirement Community in Newton, N.J.
A strong believer in civic involvement, Mr. McCracken served on the Fredon Township Committee from 2003 to 2010. He was selected by his fellow committeepersons as Deputy Mayor in 2005 and 2007 and as Mayor in 2010. Mr. McCracken has served on many boards including LeadingAge New Jersey, the Greater Newton Chamber of Commerce, the 200 Club of Sussex County (past president), and the House of Delegates of Leading Age. Mr. McCracken has been a member of the Sussex and Warren Counties Chambers of Commerce and the Sussex County League of Municipalities (past president). He was formerly a member of the Newton and Hackettstown Rotary Clubs. He was selected as a 2009 Fellow by Leadership New Jersey, a statewide organization that equips emerging leaders positively to impact the state through leadership in business, government, education, and the non-profit sector. In 2014, the New Jersey Hospice and Palliative Care organization presented him with a Spirit of Hospice Award as the Public Servant of the Year, in 2017 he received The Educator of the Year from American College of Health Care Administrators and in also in 2017 he was honored by the New Jersey Foundation on Aging for his dedication to the safety and welfare of New Jersey’s older adults. In 2016, Mr. McCracken joined the board of directors of the New Jersey Alliance for Culture Change, an organization committed to serving as a resource and inspiration to those long term care communities committed to transformation and also serves on the board of Birth Haven, an independent nonsectarian, non-profit organization that provides shelter, support and education for homeless pregnant women and girls. Mr. McCracken received his Bachelor of Arts in Religion from Denison University in Granville, OH, and earned a Master of Healthcare Administration from the University of New Hampshire in Durham. He also studied Pre-Hospital Emergency Care at the George Washington University in Washington, D.C.